This post was sponsored by DSW Shoes. Fall has officially begun, and that means it’s time to pack away the sandals and flip flops and break out the boots and flats. Right now, the temps are still back and forth between summer and fall, so on warmer days I love a lighter option like these studded BCBG flats from DSW Shoes. I love the studded details and did I mention they come in red? They look exactly like a designer brand that is 10 times more expensive and are super comfortable. They pair great with ripped jeans and a blazer for my weekly meetings, and also look great with a long-sleeve maxi I wore the other day. Booties are another great option to take you from summer to fall and DSW Shoes has a fab selection and in so many different styles and colors. What are some of your favorite shoes for fall? 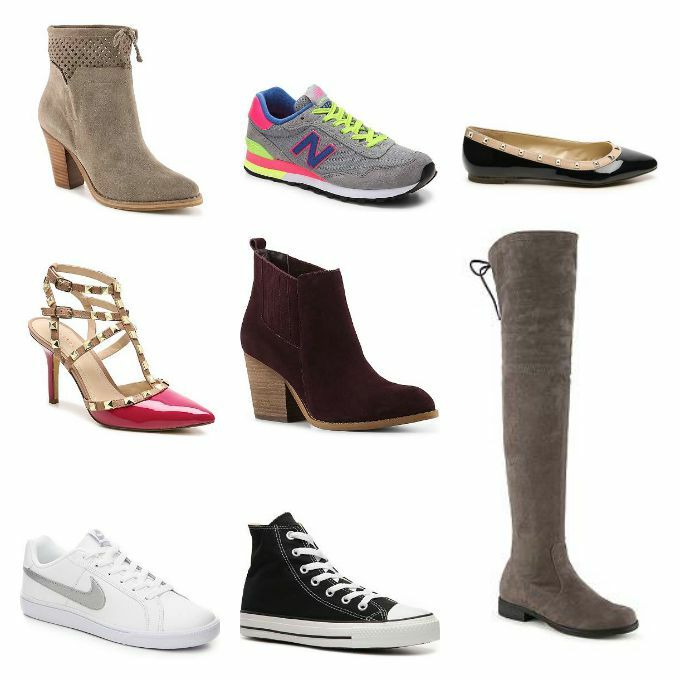 I wanted to share some of my current favs at DSW Shoes below. At DSW, we believe that shoes have the power to bring out something great in everyone. So no matter who you are or how you dress, we’ve got just what you need. Shoes say a lot about you. Spend a little. Say a lot. Love this look and great picks! Love DSW! I've found some great stuff there over the years. 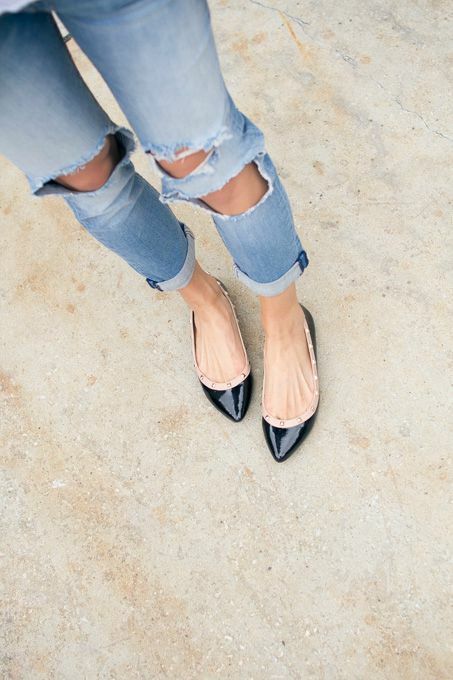 These flats are perfect for work or going out! I love it! So simple and super cute! 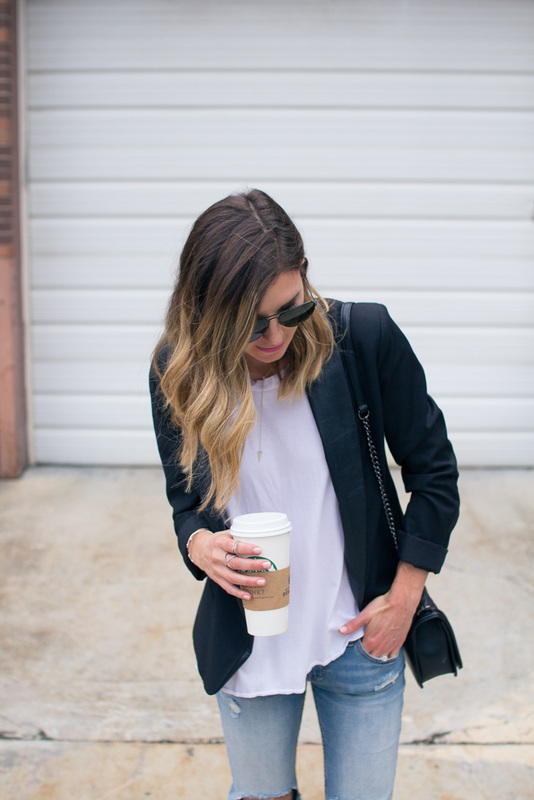 Casual and classic with some perfect details, j'adore!